A ‘comfortable’ position for Osborne? One of the most controversial policy changes being made by the Conservative government relates to the tax credit system. For many years, the tax and benefits system in the UK has come in for significant criticism. It has been described as overly complex, a system that doesn’t reward work and yet a system that doesn’t provide sufficient incentives to move off benefits and into work. The changes that the government is proposing are wide-ranging and focused in part on reducing the deficit. With changes to tax thresholds, the introduction of the National Living Wage (NLW) and changes to the thresholds at which tax credits are available, the Treasury suggests that £4.5 billion will be saved per year. It also says that most working families will be made better off. However, the IFS suggests that some families could lose up to £1000 per year following the changes. Tax credits are designed to help low income families and working tax credit, in particular, is aimed to encourage people to move into work. A key change to this tax credit will see the threshold at which the recipient’s payments of this benefit begin to decline move from £6420 to £3850. The withdrawal rate – the rate at which the benefit is withdrawn – will also be increased. The idea is that this will help to target the benefit more tightly – make it more vertically efficient. But, the concern is that this will also mean that low-income working households are worse off, despite the introduction in April 2016 of the National Living Wage. The Chancellor suggests that anyone who is working full time will be better off following these changes and that as such the changes will actively encourage work and lead to an increase in the supply of labour. This, the government argues, is a good policy for the working population, tax payers and for the wider economy. This policy will remain controversial, with changes set to come in from 2016 and then 2017. It is certainly difficult to assess the impact of these changes on households and part of that stems from the complexities of the existing system, which mean that some households are eligible for some benefits, whereas others are not. The final impact, if such changes are approved, will only be known once the tax credit changes are implemented. The House of Lords will vote on whether to ‘kill’ the tax credit cuts and Mr. Osborne, despite some concerns from Conservative back-benchers has said he is ‘comfortable’ with the policy and that the House of Lords should respect the views of the other house. Until we see the results of the vote and, even then, the impact of the changes on households, both sides will continue to produce data and estimates in support of their views. How do they aim to affect the supply of labour? Using indifference analysis, explain how the income and substitution effects will work, following a change to tax thresholds. What is meant by vertical efficiency and the targeting of benefits? Why would the changes to tax credits help those in full-time work more than those in part-time work? What are the main arguments for and against the changes to tax credits? The 2015 Rugby World Cup is now well under-way, with record crowds, surprising results and some heartbreak. But what about the economic impact of the Rugby World Cup? Big sporting events bring in spectators (estimated to be 466,000), athletes and crucially they all spend money. But what happens when the host country doesn’t make it through? Unfortunately for all England fans out there, this is a very relevant question. A defeat makes investors more negative about life in general. If England were to lose, they wouldn’t just be negative about the England rugby team but also about economic outcomes in general. Advertising revenues may also be hit, with a significant impact on ITV, who are showing all matches. With England out, the value of advertising slots has fallen and the advertising impact on some of the key England sponsors, such as O2, may be significant. However, English ticket holders may use this as an opportunity to make money, selling on their tickets to fans of surviving teams! The following articles and report from Ernst and Young consider this latest major sporting event that has come to the UK. What is an Economic Impact Analysis? How would you estimate the size of the multiplier effect of a sporting event, such as the Rugby World Cup? Following England’s exit, what happened to the stock market? How will media companies be affected by the Rugby World Cup and by England’s exit? Why do emotions affect the stock market? Do you think England’s exit will lead to greater spending in other parts of the country, such as Scotland and Wales, as England fans defect? What is the relationship between the degree of inequality in a country and the rate of economic growth? The traditional answer is that there is a trade off between the two. Increasing the rewards to those who are more productive or who invest encourages a growth in productivity and capital investment, which, in turn, leads to faster economic growth. Redistribution from the rich to the poor, by contrast, is argued to reduce incentives by reducing the rewards from harder work, education, training and investment. Risk taking, it is claimed, is discouraged. 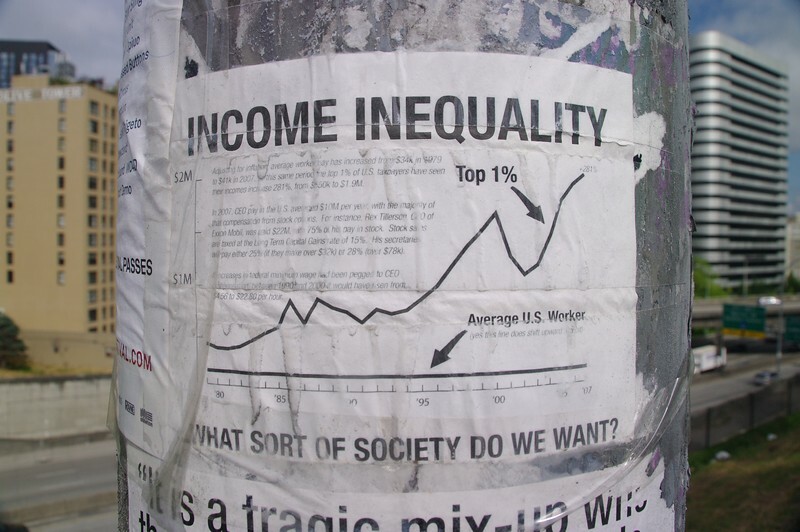 Recent evidence from the OECD and the IMF, however, suggests that when income inequality rises, economic growth falls. Inequality has grown massively in many countries, with average incomes at the top of the distribution seeing particular gains, while many at the bottom have experienced actual declines in real incomes or, at best, little or no growth. This growth in inequality can be seen in a rise in countries’ Gini coefficients. The OECD average Gini coefficient rose from 0.29 in the mid-1980s to 0.32 in 2011/12. This, claims the OECD, has led to a loss in economic growth of around 0.35 percentage points per year. But why should a rise in inequality lead to lower economic growth? According to the OECD, the main reason is that inequality reduces the development of skills of the lower income groups and reduces social mobility. By hindering human capital accumulation, income inequality undermines education opportunities for disadvantaged individuals, lowering social mobility and hampering skills development. The lower educational attainment applies both to the length and quality of education: people from poorer backgrounds on average leave school or college earlier and with lower qualifications. Anti-poverty programmes will not be enough. Not only cash transfers but also increasing access to public services, such as high-quality education, training and healthcare, constitute long-term social investment to create greater equality of opportunities in the long run. That equality seems to drive higher and more sustainable growth does not in itself support efforts to redistribute. In particular, inequality may impede growth at least in part because it calls forth efforts to redistribute that themselves undercut growth. In such a situation, even if inequality is bad for growth, taxes and transfers may be precisely the wrong remedy. Explain what are meant by a Lorenz curve and a Gini coefficient? What is the relationship between the two? The Gini coefficient is one way of measuring inequality. What other methods are there? How suitable are they? Assume that the government raises taxes to finance higher benefits to the poor. Identify the income and substitution effects of the tax increases and whether the effects are to encourage or discourage work (or investment). Distinguish between (a) progressive, (b) regressive and (c) proportional taxes? How will the balance of income and substitution effects vary in each of the following cases: (a) a cut in the tax-free allowance; (b) a rise in the basic rate of income tax; (c) a rise in the top rate of income tax? How does the relative size of the two effects depend, in each case, on a person’s current income? 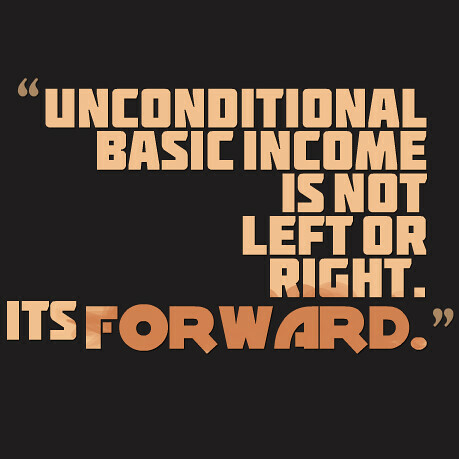 Identify policy measures that would increase both equality and economic growth. Would a shift from direct to indirect taxes tend to increase or decrease inequality? Explain. By examining Tables 3, 26 and 27 in The Effects of Taxes and Benefits on Household Income, 2012/13, (a) explain the difference between original income, gross income, disposable income and post-tax income; (b) explain the differences between the Gini coefficients for each of these four categories of income in the UK.